It's been ages since my last post. I never got to do anything I said I would do in my previous post which was about the Summer Komikon 2012. Now, I'm posting again about another similar event. Komikon 2012 draws near and it'll take place on October 27 at the Bayanihan Center. I've been very busy making preparations for it. 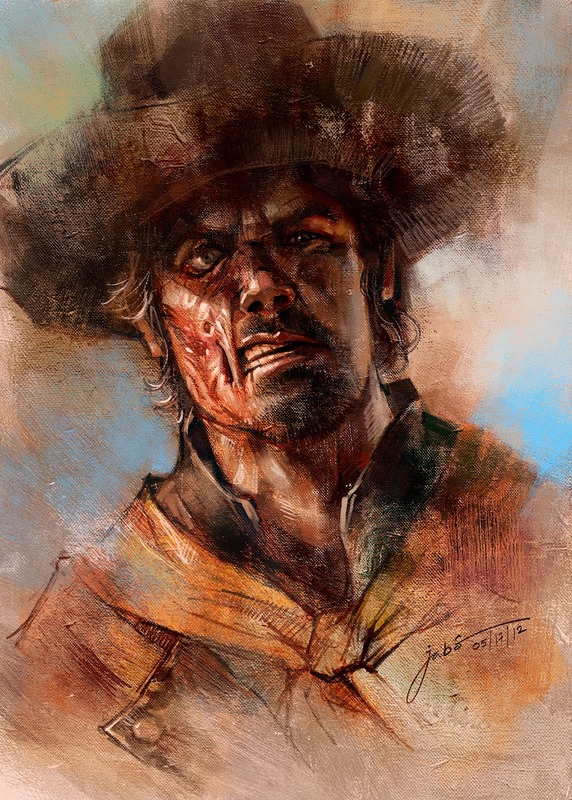 This painting of Jonah Hex is my tribute to Mr. Tony DeZuñiga who passed away earlier this year. I've always wanted to give him something like this in person. Unfortunately, I'll never have that chance and that's one of the things that I regret. Mang Tony contributed to the Philippine comics industry more than many artists of my generation realize. He shall never be forgotten. I hope you guys like it! I'd love to stay a bit longer and post more stuff but I've got a handful of commissions to take care of. Like I said earlier, I never got to post about anything I said I would post about in my previous posts so this time, I won't make any such promises and see if that makes any difference. I do hope it makes a difference!